A Greater Sage-grouse male displays on a Sublette County, Wyoming lek, or mating ground. Posted in Endangered Species, Politics on December 12, 2014 by Dave Showalter. 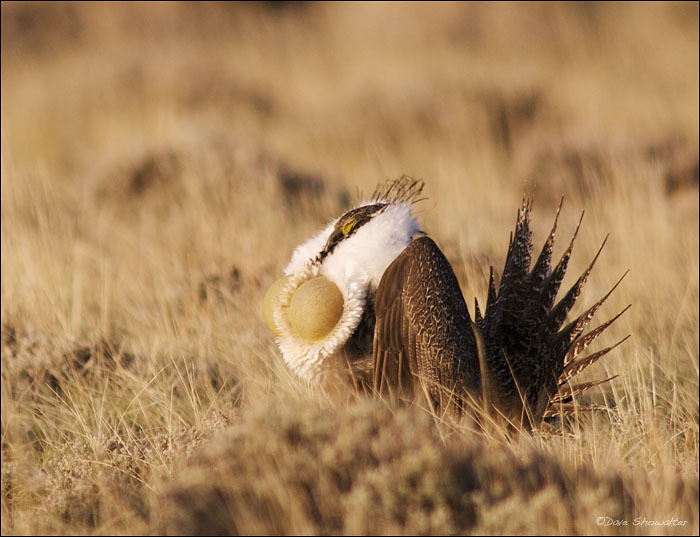 A male greater sage grouse inflates his chest to impress a female during the spring mating season. Grouse use the same "lek" for mating throughout their lifespan and are severely threatened by oil and gas industrialization and habitat fragmentation. I wrote this article two years ago when Secretary Salazar announced that Greater Sage-grouse are “warranted, but precluded” from protection under the Endangered Species Act. Greater and Gunnison Sage-grouse mate on leks in the sagebrush ecosystem from late March into early May. 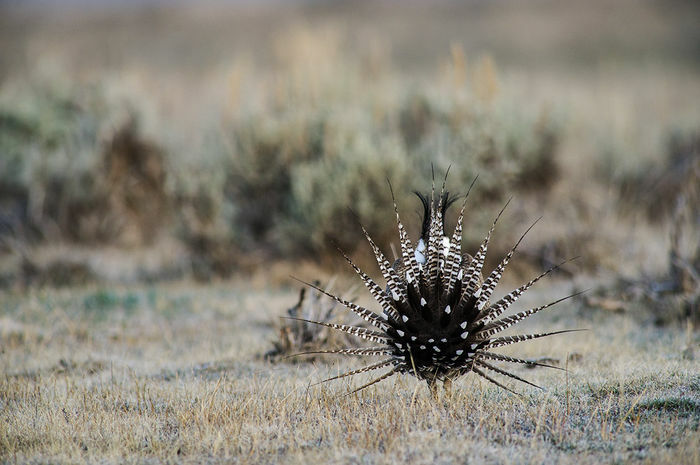 “The only good place for a Sage Grouse to be listed is on the menu of a French bistro. It does not deserve federal protection, period.” Congressman Jason Chaffetz (UT-03). Sitting in a cold, drafty blind on a moonless April morning, it’s so dark that I can’t see the walls that will keep me hidden from Greater sage grouse. The stillness and quiet are pure, the stars like diamonds. I woke at 2:30 for the privilege of a few hours with these iconic western birds – birds that are getting a lot of attention these days. 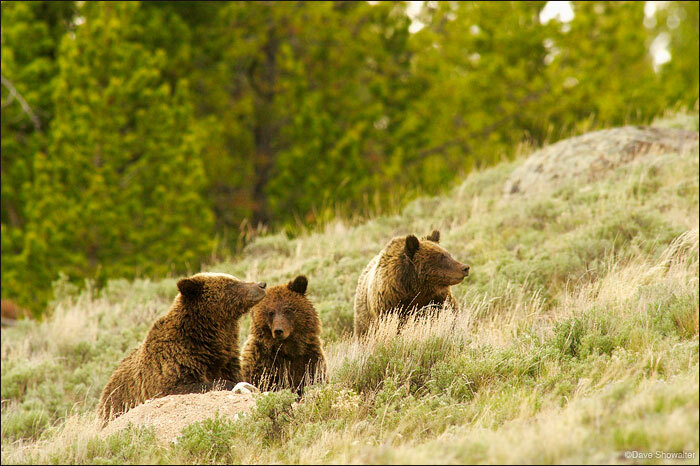 Posted in Endangered Species, Energy, Sagebrush Sea on April 9, 2012 by Dave Showalter.